A month into her treatment plan, she was producing "droplets" of milk, and three months in, she was producing about 8 ounces of milk per day. She told doctors that she wanted to breast-feed her baby. She explained that her partner was pregnant but was not planning to breast-feed when the child was born, so she wanted to take it on herself. The 30-year-old, who is transgender, was willing to accept the risks. Following months of hormone therapy last year, doctors say she might be the first reported transgender woman in academic literature to breast-feed, according to a case study published last month in the peer-reviewed journal Transgender Health. "We want to present our patients with the full range of reproductive choices, and this is one step closer to that," Tamar Reisman, who co-authored the study with Zil Goldstein, said in a phone interview Wednesday with The Washington Post. Reisman, an endocrinologist with the Center for Transgender Medicine and Surgery at Mount Sinai Hospital in New York, said doctors used protocols for "non-puerperal induced lactation," in which a woman is stimulated to lactate. The patient, who had not undergone gender reassignment surgeries, was put on a hormone regimen - spironolactone to suppress testosterone and estradiol and progesterone to mimic the hormone stage of pregnancy, according to the case study. 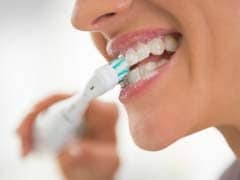 Doctors Remove Toothbrush From A 50-Year Old Woman Without Surgery! Surprisingly, the woman who was a resident of Lower Mawprem was in no discomfort after swallowing the toothbrush while cleaning her teeth in January. It was her daughter who later insisted her to consult a doctor as a precautionary measure. Fertility experts reveal that transgender women might be able to reproduce in the near future with the help of uterus transplants. A month into her treatment plan, she was producing "droplets" of milk, and three months in, she was producing about 8 ounces of milk per day, according to the study. 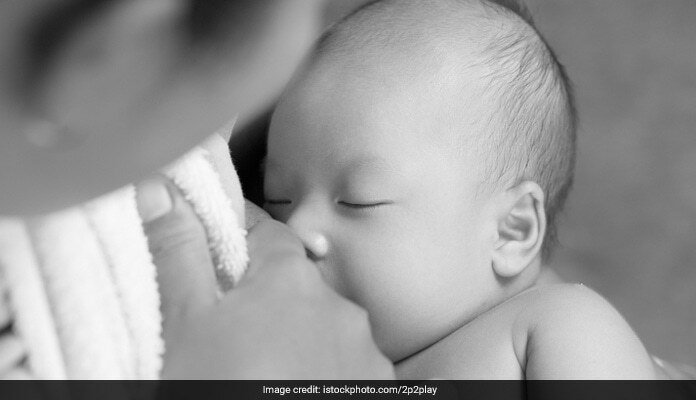 The study stated that after the baby was born, the patient breast-fed for the first six weeks and, during that time, the infant's pediatrician said that "the child's growth, feeding, and bowel habits were developmentally appropriate." Reisman said that at 6 months of age, the baby was "happy, healthy and very cute." For a variety of reasons, the American Academy of Pediatrics recommends that babies breast-feed exclusively for the first six months - unless there is a medical reason not to - and then continue breast-feeding while supplementing with solid foods for at least a year. For mothers who cannot produce milk on their own, or for mothers who are adopting or using a surrogate, there is a protocol that includes hormones and pumping to induce lactation. Thomas, a pediatrician and lactation consultant for Aurora Health Care in Wisconsin, said the regimen used in the case study is similar to the one used for mothers who cannot produce milk on their own, except for the spironolactone needed to block testosterone. But spironolactone is considered "acceptable" to use during breast-feeding, according to LactMed, an online database from the National Institutes of Health's National Library of Medicine. But Madeline Deutsch, a doctor and associate professor at the University of California at San Francisco's medical school, said there has not been adequate research. Deutsch, director of clinical services at the UCSF Center of Excellence for Transgender Health, said she is a transgender woman with a 6-month-old child. She said that she can empathize with transgender mothers that but trying to induce lactation is "not something I would do," saying that there needs to be more research not only on whether medications can be transferred to a fetus or an infant but also on whether breast milk produced by transgender women has the appropriate nutritional content. "This is not transgender women taking control of their bodies," Deutsch added. "This is something that needs to be explored more." Still, when asked about the case study, Thomas said she believes "babies should get breast milk."